The Dark Ranger: Embrace The Masters, Dear Captain! Ranger's Captain Jagr has his lowest total in the first seven games of any of his 17 seasons, going into tomorrow nights first meeting this season against his former teammates, the Pittsburgh Penguins. With the Blueshirts now 2-4-1, having lost in overtime on Saturday to the Boston Bruins, it is time for our Captain to embrace his past and channel 'The Greats' - begin playing hockey like an All-Star should and begin meeting our expectations. The Penguins open a three-game homestand looking to build on their first back-to-back wins of the season after defeating the Capitals 2-1 on Saturday. Ryan Whitney's fourth career game-winning goal provided the final margin with 2:01 left in the second period. Tuesday's game will mark the first career meeting between brothers Jordan Staal, the Penguins' 19-year-old center, and Marc Staal, the Rangers' 20-year-old rookie defenseman. Jordan Staal scored his first goal of season Saturday. Our supposed $80 million dollar free-agent powerhouses, Chris Drury and Scott Gomez have given us no more than 3 goals and 6 assists in seven games, so we hope to see a little more production on the first two lines tomorrow night as well. Here goes another one. The Dark Ranger awaits. I predict Jagr will be listed on injured reserve by December. 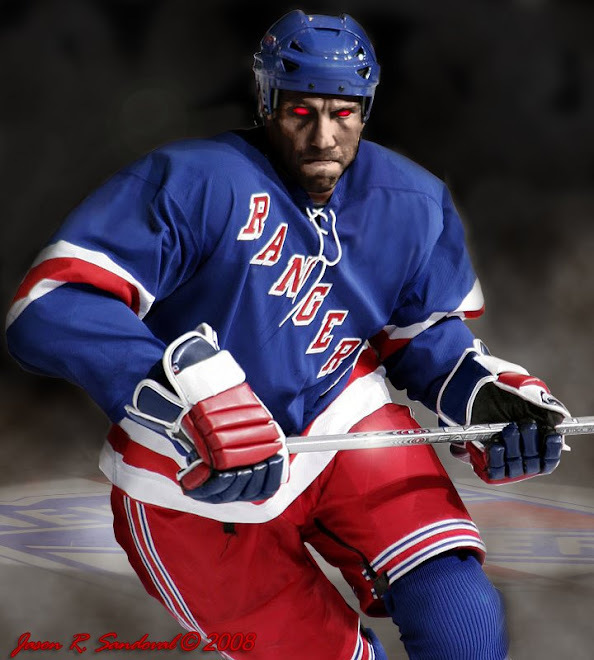 Though a finesse and speed player, he just doesn't fit into that Rangers jersey and persona. I don't agree. Jagr I predict will play out the season - will continue to slow-down the gameplay -this perimeter play is beginning to look like the minority direction with this new-Rangers. The grit of shooting toward the net and playing the inside center - dirty goals fits the profile of most of the team. The last two seasons, Jagr worked as a Ranger, but this season he appears lazy and sloppy. Maybe this is his last year. 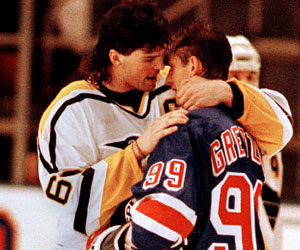 ...and thank you for the Jagr/Briere swap (a reference to my post of Oct. 1)...The Dark Ranger was wrong and I admit it. Thanks fdarangers for pointing that out. Classic Flyers fan. Bring it on.